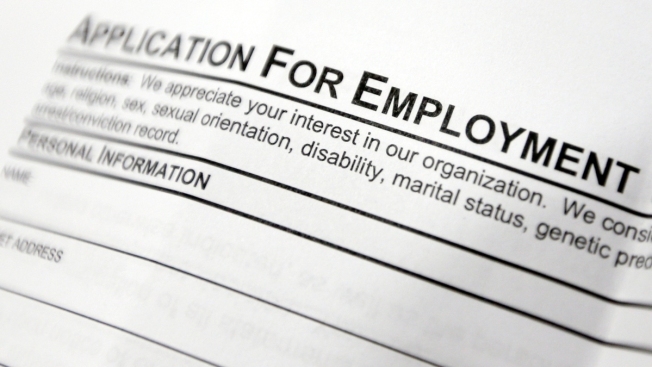 US Added 213K Jobs in June; Unemployment Rate Up to 4 Pct. This April 22, 2014, file photo shows an employment application form on a table during a job fair at Columbia-Greene Community College in Hudson, N.Y. The Labor Department's monthly jobs report will be released at 8:30 a.m. Eastern time Friday. One reason that some employers may not be feeling pressure to raise wages is that more people are beginning to look for work, thereby keeping up the pool of job applicants: The ranks of unemployed people seeking jobs jumped by 499,000 in June, which caused the unemployment rate to rise from its previous 18-year low.